There are certain situations in life in which you may want someone else to make decisions on your behalf. Without a legal document, your intentions for who should play this role may be impossible to achieve. 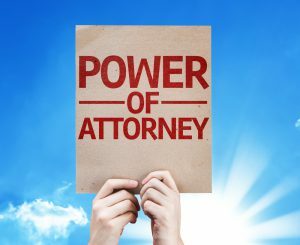 Thankfully, however, there are documents you can draft with the help of your estate planning lawyer so that this person is already clearly established legally as your power of attorney. You may wish to have a power of attorney that empowers different people to step in to make healthcare decisions for you and financial decisions. It’s also possible that the same individual might play both of these roles for you, such as a spouse. Having these documents put together is important, but it’s also critical that you keep them updated if your life circumstances change. For example, if you get divorced, it’s time to schedule a meeting with your estate planning lawyer to update this information. Without making new versions, the last valid version of these documents (as well as your will) remains in effect. This could empower a former spouse to make healthcare or financial decisions for you. It’s important to have these documents regardless of your age. Many parents of college-bound students will use these documents to ensure that they are able to step in and help if need be. Others overlook this, but this can present healthcare issues as an 18 year old is legally an adult. Adding “visit the estate planning attorney” to your pre-college checklist is strongly recommended both for a review of your own documents as well as putting together durable powers of attorney for the college student. Equipping someone with your power of attorney is an important responsibility and it’s a choice that should be made carefully. Make sure that not only are you comfortable with the decision but also that the person you name in this role is comfortable playing that part should the time come.